We are often approached by coaching clients when they’re sick of their job and ready to quit. I know that feeling. I’ll never forget my last days at my last job – before I founded this firm. I could feel myself sink into depression each day as my commuter train hit 125th Street and neared my stop. I was sick of my job and sick because of my job. I needed to quit. And I needed to quit quickly. Or so I thought. I wanted to rush to the next thing. To be done with my misery. I knew I deserved better and that I could do better. But I pushed against my impulses and slowed down to take time to quit right. And ended up a consultant and coach at Chatsworth Consulting Group. The clients who come to us with the need to go – and go now – generally want answers and steps to move them quickly out of their situations. But instead we often coach them into a bit of restraint. Restraint like I managed to show as I left my last job. Because there is almost always something more to learn in the job we’re in, that we want to learn before we move on. And there is often a way to learn to enjoy and grow in a job again, even a job that we feel we must leave. It just takes a frame of mind. What skills and knowledge might you need in your next job? How can you learn those now? What’s the worst thing about where you are? What can you do to see that differently or to experience it differently? What does this job (boss, colleague, experience, company) teach you about yourself that you need to learn? What of the best of you does it bring out? What of the worst of you does it bring out? These questions often help our clients find a way to recommit themselves to their current job and to enjoy it. They also help some clients get clearer about the next job they want, so that they’re running towards a good job rather than running away from a bad one. Because we have to be sure about why we’re going, and when it’s best to go, so that our going makes sense and we don’t somehow end up in a worse situation. 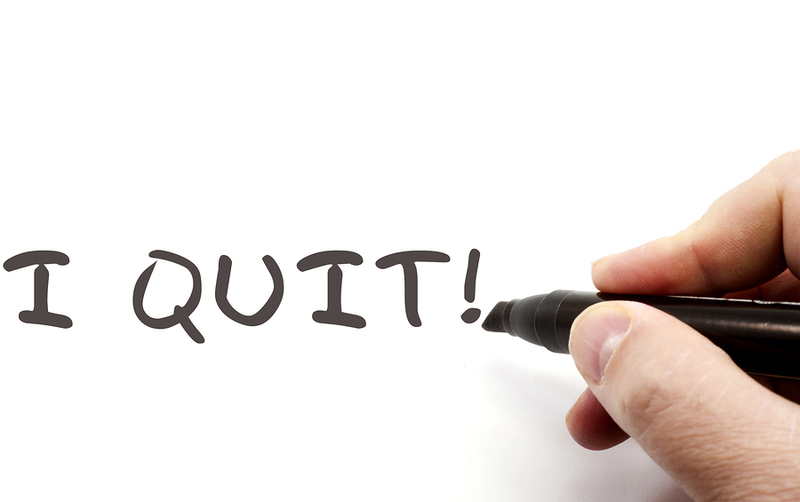 For those with this sense of needing to move on, LetsGrowLeaders offers a great post, Should I Quit My Job? Our colleague and friend, Karin Hurt, has great insight and suggestions. How have you known whether to stay or go? For a partner in loving or leaving your job, contact Lisa at lkohn@chatsworthconsulting.com.